The Dallas Fed survey of Texas manufacturing soared to 36.5 in June (from 26.8), back near its highest since 2004. 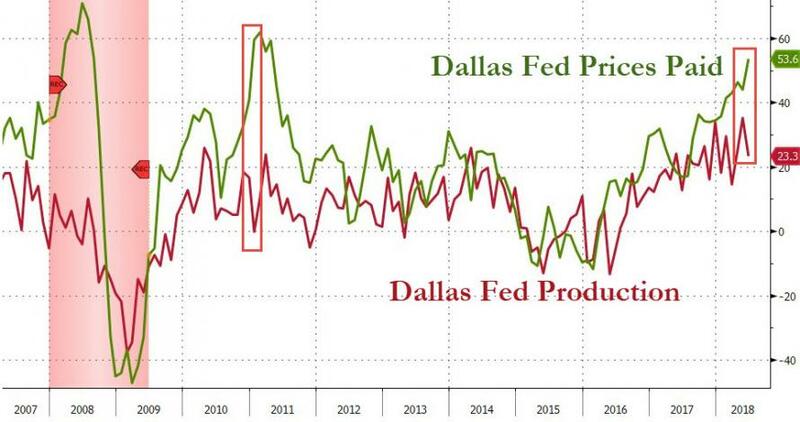 The problem, however, is this spike is being driven by soaring prices as production slows - flashing a big red stagflationary alarm once again. 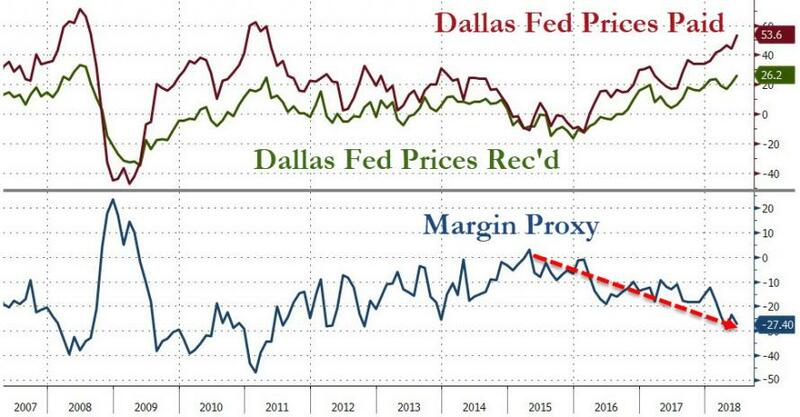 But - after all that - The Dallas Fed Survey rebounded dramatically?